I am still trying NaNoWriMo. But I don’t think I am going to hit the deadline. I am currently just past 17,000 words, I should be around 27,000 words at this point. I am not liking this stress. I have missed a few days for various reasons. But I am learning how to get more words done in a session. Over the last two days, I have begun sketching out what I am going to write about that day. That gives me a road map for the writing session. As opposed to my normal, let’s just see where this thing goes. 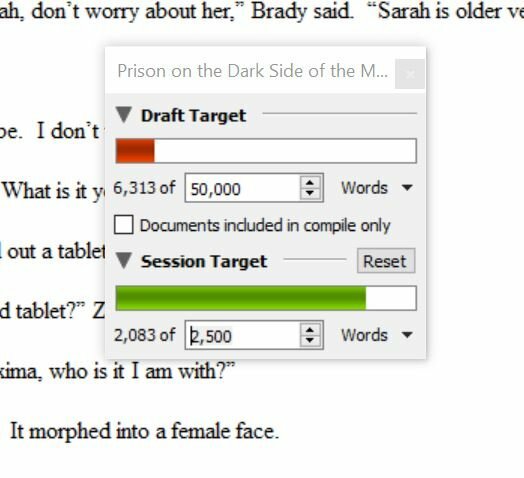 I get the sense that NaNoWriMo was started to help people finish a book. I have finished books, but I am not liking this pressure of 1667 words everyday. A 1000 words s day, no problem. I know there are many that would read that and laugh. Doing 1667 words a day is normal. I can do between 1000-1700 words Monday through Friday without a problem. Saturday and Sunday become an issue when my kid is home from school. Oh, well, the book may not be finished by November 30, but it will be finished. This entry was posted in Uncategorized on November 17, 2017 by mctiller.